Authorized Dealer Full US Warranty! This is the kind of evocative experience we want young people to have; we want them to take more of an interest in audio products. E1000 sound quality is clear and well-balanced, from low through to high tones, and we’ve achieved a realistic sound spread much like you are listening to live music. With E4000, no particular sound ranges have been emphasized. Ear hooks alleviate cable touch noise. Taking touch noise into consideration, soft, flexible coated material has been employed. When using the ear hooks, it moves flexibly, making for a good fit. Model: E2000. Part Number: E2000. MPN: E2000. We hope our service will exceed your expectations! If you're not sure, ask and we'll let you know. Final Audio Hi-Res Re-Cable Compatible Canal Type Earphone E4000. Enclosure: Aluminum Black Anodized Finish. Cable Length: 1.2 m / ◆ Weight: 18 g.
Trending at $124.89eBay determines this price through a machine learned model of the product's sale prices within the last 90 days. The silicon used for the sound conduit is more rigid than that used for the earbud, and by having groove processing applied to it, combines both strength and flexibility. Soft silicon has been employed for the earbud, making for a comfortable fit and a high level of sound insulation. Housing design that minimizes the distance between the ear drum and the driver unit. The F3100 have used an ultra small full-range balanced armature driver unit. An aluminium-magnesium alloy for the F3100 housing, which in turn is finished in a chic black anodic film exhibiting high hardness. With E2000, not creating a range that is emphasized makes for clear sound quality. Cord length: 1.2m. Weight: 12g. Impedance: 16Ω. Sensitivity: 102 dB/mW. Driver: 6.4mmΦ dynamic driver. Housing: Aluminum black alumite finish(MATT BLACK). 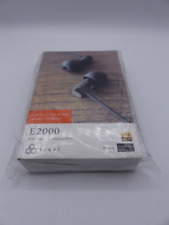 Final Audio - E5000 Hi-Res Earphones. 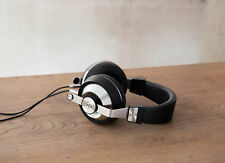 Final Audio Stainless Steel High Resolution Headphone - E5000. With a strong sense of fidelity, the deep, base sounds are clear and have great impact. The mid range tones are optimally even and tempered and not overshadowed by the surrounding sounds. Final Audio has created a simple, yet elegant in ear headphone with an affordable pricing. Final Audio Design D8000 Over-Ear Planar Magnetic Headphones. Driver: AFDS Planar Magnetic. FOR SALE:FINAL AUDIO DESIGN E3000. Reason is simple: the sound is incredible for the price. Its warm, balanced, with rich timbre and imaging. The 6mm dynamic driver permit to have an ultra small housing that will fit any ears and can be wear for sleep. This award-winning, beautiful model from Final Audio Design will impress you with quality sound, comfortable fit, and practical accessories. Featuring stainless steel mirror finish with gold-tone MMCX connector and high-purity silver-coated OFC cable, the earphones produce enchanting audio quality, while looking positively stunning. This also contributes weight reduction. The cable is high purity OFC with detachable MMCX connectors. We used an aluminium-magnesium alloy for the F4100 housing, which in turn is finished. It tends to have a slightly. SKU: E4000. With E4000, no particular sound ranges have been emphasized. Ear hooks alleviate cable touch noise. Two types of silicon are employed for the sound conduit and for the earbud. The silicon used for the sound conduit is more rigid than that used for the earbud and, by having groove processing applied to it, combines strength with flexibility. With E2000, not creating a range that is emphasized makes for clear sound quality. The precision involved in assembling the parts for the driver unit is of the utmost importance. Compared to a plastic housing, this housing machined from aluminum with a alumite finish firmly supports the driver unit and suppresses unnecessary vibrations. Usually, increasing the range of bass tones results in a dull resonance across the full sound range. Here, owing to. Heaven VIII. In principle, this makes for ideal full range reproduction with a single driver. 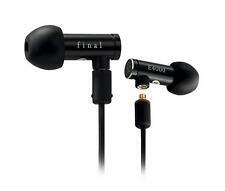 Final Audio Hi-Res Re-Cable Compatible Canal Type Earphone E5000. Enclosure: Stainless Steel Mirror Finish. Cable Length: 1.2 m / ◆ Weight: 23 g.
Trending at $239.00eBay determines this price through a machine learned model of the product's sale prices within the last 90 days. BAM is the approach of optimizing the balance of pressure at the front and rear of the diaphragm. The housing employs hard resin comprised of hard polycarbonate strengthened with 30% glass added to it. 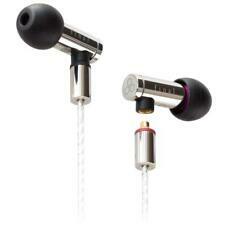 Final Audio Design F4100 High-Resolution Earphones (Black). The Final Audio Design headphones are renown for their quality and comfortable fit. Final Audio Design ensures their fans' enhanced listening experience by providing ergonomic design, great sound quality, premium materials and practical accessories. The pivot of sound quality in the Piano Forte series lies in this aperture. With ordinary canal type earphones, silicon ear pieces are used to seal the audio canal. By sealing the audio canal, which connects the diaphragm and the eardrum, it is possible to reproduce even the lowest sounds; in turn, the diaphragm is exposed to high pressure and distortion occurs. BAM is the approach of optimizing the balance of pressure at the front and rear of the diaphragm. The housing employs hard resin comprised of hard poly carbonate strengthened with 30% glass added to it. SKU: F4100. The Final Audio Design headphones are renown for their quality and comfortable fit. Final Audio Design ensures their fans' enhanced listening experience by providing ergonomic design, great sound quality, premium materials and practical accessories. P>Final Audio has created a simple, yet elegant in ear headphone with an affordable pricing. SONOROUS VI. SONOROUS VI AWARDS. A powerful neodymium magnet is coupled with this. With balanced armature driver units, iron is driven to produce sound, and as such, these drivers face a number of problems, amongst which are "proving tiring to listen to", "having sound that is subtle and beautiful, but lacking in depth and being flat" and "lacking bass interval". Let's count the reasons you'll love this speaker stand Adjustable carpet spikes Energy-absorbing MDF construction increases sound quality by providing acoustic isolation Includes brass isolation studs Housing design that minimizes the distance between the ear drum and the driver unit. The prestige model of the SONOROUS series, SONOROUS X eliminates compromise. The principal parts are composed of machined aluminum and stainless steel. This is a resolute prestige model, the zenith of the SONOROUS series. SONOROUS IV. A powerful neodymium magnet is coupled with this. Newly developed 50 mm φ dynamic driver. With balanced armature driver units, iron is driven to produce sound, and as such, these drivers face a number of problems, amongst which are "proving tiring to listen to", "having sound that is subtle and beautiful, but lacking in depth and being flat" and "lacking bass interval". Bringing the driver unit closer to the ear drum, achieves an even more realistic, vivid sound quality. We used an aluminium-magnesium alloy for the F3100 housing, which in turn is finished in a chic black anodic film exhibiting high hardness. The result is a balanced, natural sound that reduces the unwanted sibilant high-frequency sounds. The prestige model of the SONOROUS series, SONOROUS X. The multitude of overlapping sonorous tones in a vast sound field epitomizes SONOROUS X. Final Audio Design SONOROUS X Dynamic Driver Full-Size Headphones. Employs an MMCX connector and original high-purity silver-coated OFC cable. Bringing the driver unit closer to the ear drum achieves an even more realistic, vivid sound quality. 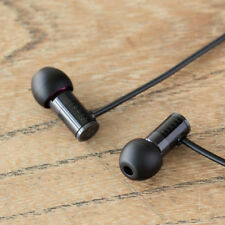 Its design inhibits unnecessary vibration and achieves clear sound quality. Ear pads with sound absorption section that contribute to clear sound quality The ear pads play an important part in sound quality. When there is a space between the ear pad and the ear, low frequency acoustic pressure changes greatly, and this greatly influences sound quality. Sound in front of close to reality. Like Bull's E-series models, low range tuning of acoustic Chamber with the low end and clear. There is no local pick up. The best prices Quality Products. The inventory is updated and monitored regularly. We developed and manufactured a balanced armature type driver unit in collaboration with our original developed balanced armature type driver unit Final Audio and Japan Molex. I will reproduce the atmosphere of the live without surplus. ■ Accessory: Earpiece E type (LL / L / M / S / SS), ear hook, pouch. Sensitivity: 102 db / mW. Cable length / weight: 1.2 m / 12 g. Hi-res sound source High res. ■ Impedance: 16 Ω.
Trending at $54.74eBay determines this price through a machine learned model of the product's sale prices within the last 90 days. The right pair of headphones makes a big difference to your audio listening experience. The headphones should fit comfortably while also providing the range of audio that you desire. 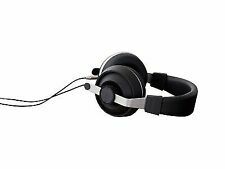 On eBay, you can find a variety of new and used Final Audio Design headphones in different styles with a range of features and at affordable prices. What are the earpiece designs of Final Audio Design headphones? Canal earbud: You fit these inside of your ear canal. Earbud: These fit into the perimeter of the opening of your ear canal. Ear cup: This fits around your ear. It leaves some space between your ear canal and the driver. The cups are lined with foam and covered with soft material for comfort. Ear pad: These fit on the ear and consist of foam around the drivers. The foam is covered with a soft material that touches your skin. What are some features of the Final Audio Design headphones? Adjustable headband: This allows you to get an exact fit around your head. Removable cable: This feature facilitates storage of the headphones without tangling or damaging the cord. Foam or replaceable tips: This allows you to get an exact fit for the parts that fit into your ear canal. Stereo: The headphones deliver sound in stereo to your left and right ears. What are the fit designs of Final Audio Design headphones? Ear hook: This fits over the top of your external ear and has a piece that drops down and fits into the opening of your ear canal. Headband: This consists of two ear pieces connected by a plastic band that fits over the top or around the back of your head. In-ear only: This consists of pieces that fit into each ear canal and are connected by a cord or cable that hangs under your chin. How do you choose Final Audio Design headphones on eBay? Color: Choose from black, gold, purple, silver, and white. Use: The options include computer, home audio, portable audio, mobile, cellular, and studio musician. Accessories: Choose headphones with or without an integrated microphone. Connectivity: The options include wired and replaceable cables. Condition: Select new, used, or manufacturer's refurbished headphones. Content provided for informational purposes only. eBay is not affiliated with or endorsed by Final Audio Design.